Sudanese Foreign Minister Ibrahim al-Ghandour announced that an agreement has been reached with Egypt and Ethiopia to establish railways and roads linking the three countries, reported the Sudan Tribune. The three leaders agreed on establishing a joint-fund to finance integrated projects, he added. Monday’s tripartite summit held on the sidelines of the African Union summit in the Ethiopian capital Addis Ababa between Egypt, Sudan, and Ethiopia’s leaders has yielded positive results and overcome the crisis regarding the Grand Ethiopian Renaissance Dam (GERD), according to Ghandour. The foreign minister reported on the mutual view shared by Sudanese Prime Minister Omar al-Bashir and Egyptian President Abdel Fattah al-Sisi, saying both leaders spoke of the “eternal [and] sacred” relations between the two countries. Ghandour emphasized that they were determined to maintain the relations and put them in their “proper framework,” in order that they can survive the shocks – such as those weighing on the countries before the Addis Ababa summit. A joint political, security, and technical committee is currently being established. It will incorporate ministers of foreign affairs, irrigation, as well as senior security and intelligence officials from the Egypt, Sudan, and Ethiopia. The committee will meet in Cairo within two weeks to discuss the mechanism of operating the dam in a way which doesn’t affect the shares accessed by the Nile basin countries, especially Sudan and Egypt, Ghandour mentioned. Upon Bashir’s return to Sudan on Wednesday, he was asked about Sudan’s relations with Egypt and responded: “Sudan is open to every brother who respects its sovereignty and recognizes its right to take care of its interests, without prejudice to the interests of others,” reported the Sudan Tribune. 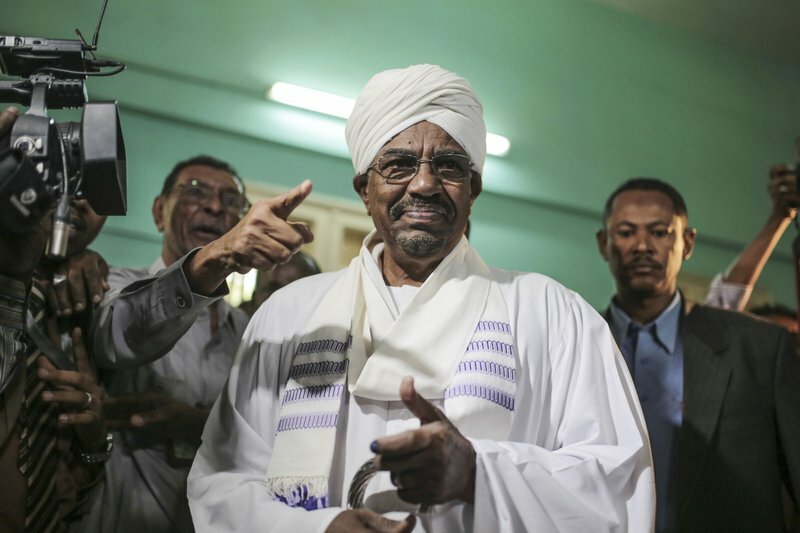 When asked about the economic situation in Sudan, Bashir revealed that measures were being established to prosecute illegal foreign currency traders, on charges of ‘terrorism and sabotage of the economy’. Bashir expected the US dollar to fall significantly against the Sudanese pound in the coming period, following the recent Sudanese central bank’s decision to float the Sudanese pound. He stressed that the Sudanese government will not allow foreign currency from abroad into Sudan, except through the Central Bank of Sudan and official channels.